New Selection: Scrambled egg for American brunch! When you areholding aspatula, sweatinginthe stage,quicklyfriedwith food, howeverhard to fulfill withfullhouse ofguests. 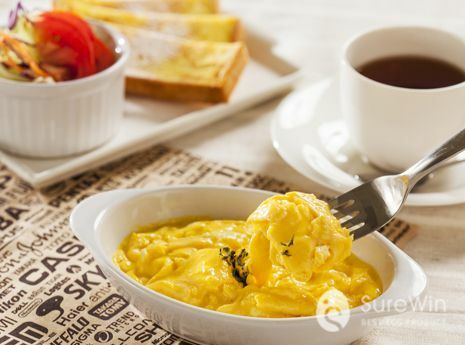 SureWin Food provides you the latest scrambled egg products, a new selection for Americanbrunch. Oureggproducts with conveniencepackage, youonly need to spendaround 5minutes onwater bath. Then, you can makea perfect, beautiful anddelicious scrambled egg for your meal!